7 Best Parkour Shoes 2019 (Updated April 2019) - Reviews! Last Update January 1st 2019 The word Parkour comes from ‘Parcours Du Combattant’, which is the toughest obstacle course developed by the military for training purposes. This speaks a lot to the mentality of parkour athletes. Many athletes take up Parkour to stay fit and improve flexibility while experiencing a sport that is both invigorating and fasted paced. The advantage of Parkour is it can be done anywhere, right from your house and your building to your local playground or even a remote forest. Parkour includes various disciplines such as climbing, running, jumping, vaulting, quadrupedal movement, rolling, and other tough activities. To keep up with these training activities, your shoes are your most trusted and important companion. Choosing the best parkour shoes help not only with fluid movements but also with keeping your feet healthy and fit. Because there are so many shoes that can be great for parkour, I decided I would help you guys out a little bit and I have made a compact chart comparing these shoes to help you guys out! Below you will see a small parkour/freerunning shoes comparison chart. If you want more information, I have written more detailed reviews on each of these shoes below, but if you want a quick pick, here it is! Parkour is all about challenging your physical and mental abilities. However, you would not be able to do that if you are not physically comfortable. The first step to being comfortable physically is keeping your feet happy, which is half the battle. However, keeping your feet happy and comfortable is not that easy. Sports companies have tried for years to develop basic running shoes that are snug and durable. With parkour in the picture now, a new challenge has been put forward to sporting manufacturers. With parkour you really need shoes that are durable, and comfortable, while still providing you with a good amount of grip to keep you in control. If you are looking for shoes specifically for parkour, then you will want to go with a company that is designed specifically for parkour! TakeFlight is an apparel company that was designed for parkour by parkour athletes. They have a wide variety of shoes and clothes that allow you to train more effectively and more comfortably. My favorite pair of shoes by them is the TKFLT Stealth Ultra! The TKFLT Stealth Ultra is their newest creation and is a complete revamp of of their original Ultra shoe. They strived to take all the good from their last shoe, and while adding in all the advice from parkour athletes from the past two years. This leaves them with an amazing, parkour specific training shoe that allows you to train efficiently, safely, and definitely comfortably. As you can see from above the TKFLT Ultra Stealth is an extremely versatile shoe that is designed for everything parkour. With the enhanced grip and flexibility these shoes are the best training shoes on the market. 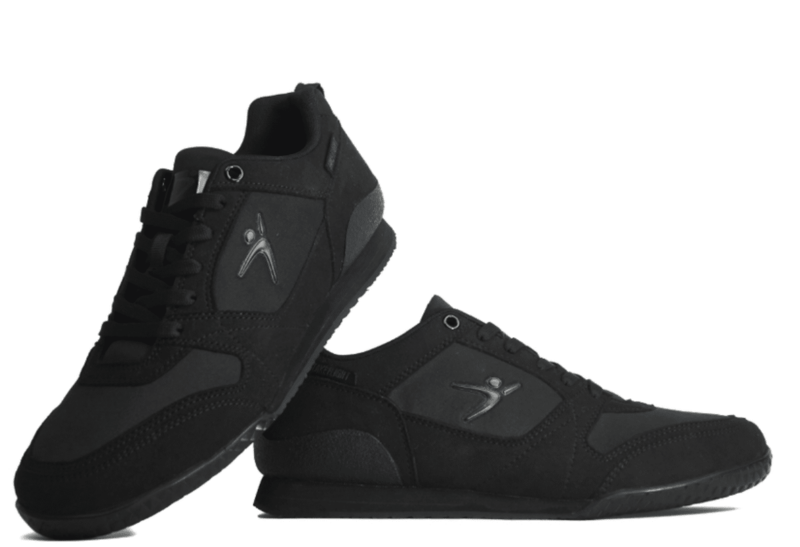 If you are looking for shoes that are designed for parkour and will help you train effectively, and safely, then the TKFLT Ultra Stealth shoes are for you. made a few heads turn in the sporting world. 1. Excellent Rubber Outsole For Great Gripping. 1. May Not Prove To Be Durable. The microfiber material might not be as sturdy as other material. 2. Cushioned insole for added comfort and support. The Onitsuka Running shoes come in different materials making them really comfortable. They are available in suede and synthetic. These are perfect to absorb moisture and keep thefeet dry while running, jumping, or climbing. It comes with a synthetic sole and a lightly padded collar and tongue. This makes it ideal as the feet do not feel cramped up inside the shoes and make them the perfect companion for the Parkour. The Onitsuka Tiger Ultimate 81 series is also all about style. These casual running sneakers features a logo at the side and on the tongue. The two-tone EVA midsole comes with flex-channels at the heels. This absorbs all the shocks and jerks during running and doesn’t let it reach to the foot. The cushioned foot bed ensures that your feet do not get sore and remain comfortable through the day. The rubber outsole is capable of maintaining its grip on all types of surfaces. You can do your maneuvers with confidence on any wet or slippery surfaces. At the same time, it is tough enough to combat any rough terrains as well. You can easily avoid sprains and bruises by running firm on any of these tricky surfaces. The Onitsuka Tiger Ultimate 81 deliver optimum performance and the best durability in the industry. By investing in these shoes, you will never have to worry about sore feet or your shoes getting soggy due to sweat. Blisters and cuts can be quite damaging to the feet and your Parkour experience will get affected. Avoid all of this by investing in the amazingly comfortable, efficient, and durable Onitsuka Tiger Ultimate 81 Running shoes built specially for Parkour. Moreover, to suite your style, you can choose among 10 different colours. The second shoe on our list is the Merrell Vapor Glove 3. Merrell has been a great name in the market for the past few years, after getting their start predominately in the hiking and trail running market. One of the great things about Merrell is that they really focus on creating shoes that are lightweight and sleek which makes it perfect for traceurs. Design: As mentioned previously these shoes' design is a thing of beauty for parkour athletes. These shoes are some of the closest to a barefoot feeling that I have encountered. With an integrated microfiber sole, you have plenty of comfort and cushion, while still giving you a sleek and minimalistic design. If you are looking for a lightweight and barefoot feel while training then this is as good as it gets! Grip: Because this shoe is extremely minimalistic, you might be concerned that it won’t have the amount of grip that you’d need. But on the contrary, because Merrell originally designed all their shoes for trail running, these shoes actually have a tremendous amount of grip. The bottom of these shoes give you a large amount of surface area and are great on wet and dry surfaces. Comfort: Another concern with minimalistic shoes it that they aren’t very comfortable while wearing them. Thankfully, I haven’ t experience any of this with these Merrell shoes. As the name suggests, these shoes actually fit like a glove, and feel like an extension of your barefoot rather than a traditional shoe. That being said, I have experiences no blisters or really any uncomfortable when I have worn these shoes. Final Thoughts: Overall if you are looking for a minimalistic, barefoot designed for training, then the Merrell Vapor Glove 3’s are your best bet. These shoes weigh very little and fit snuggly on your foot like a glove. They are extremely comfortable and give you a much more natural feeling surface to run on. Overall I am extremely happy with these shoes for training, and I definitely recommend for anyone who is serious about training, to try these out. Evolv has been around for the past few years and they originally started out as a primarily rock climbing brand, but slowly they have adapted into other extreme sports like parkour and even everyday shoes as well. They have managed to gain huge popularity through their light-weight and grippy shoes which translates to great parkour shoes as well! The Evolv Cruzer is equipped with high friction TRAX rubber which makes it extremely grippy which is perfect for nearly any surface, and even does pretty good on wet and slick surfaces. Grip: Because these shoes are partially designed for rock climbing, the grip is phenomenal. You really get a solid grip on any type of material and even when it’s wet I still haven’t had problems with it. This is absolutely perfect for anyone that practices mainly in city or urban settings because it’s perfect on brick and concrete. Along with this, I’ve had pretty good experiences with these shoes on rails, there can be a little wobble here and there but their pretty good. These also performed pretty well when I took them out into a forest to do some nature parkour and I was able to get some decent grip on the trees and on the dirt. Overall I believe the grip on these shoes are some of the best I’ve experienced. Comfort: Because these can also be used as climbing shoes I was a little wary that the comfort would be minimal, but surprisingly they were actually quite comfortable. They felt extremely light on my feet, and they also are designed to be used without socks if you are interested in that. That being said, because they are so light, I wouldn’t recommend them for extreme outdoors or long hikes or something like that. They are pretty thin so I could see it would be easy to roll your ankle if you you were out hiking on rocky terrain. But in the end of the day these are very comfortable for parkour and the lightness is quite enjoyable. As for the fit of these shoes, because they are climbing shoes as well, they can be a little tighter than you might be used to. That being said, I have heard some people talk about purchasing a size a size up, but I purchased mine the same size as my street shoes and they fit great! Durability: Similar to before, because these are so thin shoes you might not expect them to last very long, but from my testing that isn’t exactly the case. Although i’ve had more durable shoes, these actually can take a pretty good beating. I have owned mine for the past eight months and i’ve given them quite a thorough beating and they are still looking pretty good. I wouldn’t be too worried about the durability of the Evolv’s. Overall I would say this is a great pick for someone who is looking for a light-weight and grippy parkour shoe for urban running. They do great on concrete and brick and they feel great and will last you a good amount of time! Vibram is a rising brand in the world of sports. Although relatively new to the massive world of sports accessories, Vibram has managed to win a few athletes over and try their products. The sport of Parkour is known to be the most challenging discipline in the world. Manufacturing shoes that accept this challenge and make the athletes comfortable with this sport is what every sporting apparel company yearns for and Vibram is quite successful doing that. Parkour athletes look for the best in style, comfort, and efficiency. The Vibram Men’s Kso Trail Running shoes delivers all of this plus a lot more. 2. Rubber Sole For Both Rocky And Wet Surfaces. 2. Many People May Not Find it Comfortable. The unique feature of Vibram’s running shoes is it is designed to fit your feet like gloves. These shoes are made from imported material and the rubber sole makes it perfect for your Parkour adventures. It comes in three fabrics – Polyamide / Polyester / Hypalon. Each of these fabrics can stretch that helps while running and jumping. The Vibram is easy to slip into as well with a convenient hook and loop Velcro strap. The rubber sole has been tested for trekking and has stood firm. These shoes are perfect for Parkour as they are made for both rocky and wet surfaces. The best part is there is no chance of grovel or small stones slipping into your shoes and getting wedges between the toes. The shoes are also made of a breathable stretch mesh that keeps the feet hydrated and the pair ventilated. Sweating in these beauties is outdated. There are no shoes like this in the market today. Wearing these will definitely give you the freedom to move around. One of the biggest problem Parkour athletes face is their toes getting cramped up in snug shoes. This happens due to the feet sweating and the fabric soaking the sweat within the shoes, it starts sticking on the runner’s feet. With these Vibram Parkour shoes, you will never have to worry about your toes feeling cramped up anymore. With separate slots given to each toe, it makes for a very comfortable fit. Each toe breathes and moves separately much like running barefeet. The ease and comfort has to be experienced to be believed. Moreover, to suite your style, you can choose among 2 different colors. When one talks about Nike, the first thing that comes to mind is excellent shoes. Nike has been synonymous with making the best sports shoes and excellent sports apparels for over a decade. Their product innovations are like no other manufacturer out there. There is a reason that some of the biggest sports personalities and athletes have become brand ambassadors for Nike. They have kept with the trend of style and comfort. 3.Asymmetrical cushioning for unmatchable comfort. Nike has always looked to revolutionize the sports world. Over the years, Nike has come up with the best sports accessories that simply take your breath away. The Nike Men's Flex running shoes are no different. These shoes are perfect for Parkour for a number of reasons. The shoes consist of a rubber sole and a mesh that helps the feet breathe. It also consists of an internal forefoot bootie and lightweight mid-foot support provides a very secure and an anatomical fit for your feet. The asymmetrical design and the lightweight cushioning makes it very comfortable to work out. The shoes are extremely durable as can be expected from a Nike product. With these shoes, runners will feel like they are not wearing anything on their feet. That is how lightweight Nike has made it. With amazing cushioning for your feet, these are your perfect companions for Parkour. Investing in a pair of Nike Men’s Flex Running Shoes is definitely the smartest thing to do for your Parkour adventures. Not only do these shoes take comfort to a whole new level, their technological innovation with features like the lightweight material of these shoes were simply unheard of in the past. Nike surely knows how to stand out in the market and attract athletes towards their products. With each passing day wearing these shoes, Parkour will seem like the easiest and most comfortable discipline out there, which is definitely not the case. For a pair of shoes to provide so much comfort, there is very little other manufacturers out there that can provide as your perfect companion for Parkour. Don’t look past this and must give it a try. You will find that you have got your pair forever. Moreover, to suite your style, you can choose among 3 different colours. You can also checkout other nike parkour shoes. Puma has become a world leader in sports apparels in recent years. Keeping in trend with the latest in fashion and technology is something that Puma has managed to do brilliantly. Puma has kept pace with the best sports manufacturers in the market and has tried to cement its position as a leading sports apparel provider. With the Puma Ignite Dual running shoes, they have targeted the Parkour segment and these shoes are specially made for rigorous Parkour workouts. 1. Geo-Patterned Mesh For Breathablity 1. Barefoot runners may not prefer this. 2. Eco Or thoLIte Sockliner For Added Comfort. 2. May Not Prove To Be Durable. Puma is an innovator in the sporting world. Some of the leading athletes in the world swear by Puma’s products. These running shoes are amazing for Parkour. These synthetic shoes are made of imported material. The rubber sole and asymmetric heel counter make for perfect cushioning for your feet. The unique part of these shoes is the geo-patterned mesh that makes the shoes airy and breathable. Your feet will always feel cool and sweating will be a long way off. The shoes also come with breathable EcoOrthoLite sockliner that keeps the interior from being damaged too soon. The outsole has been tested for the outdoors and is made with high abrasion rubber. These unique Puma shoes have introduced amazing new technology to Parkour shoes and with the unique revolutionary design, your Parkour experience with these shoes will be fun. Making shoes comfortable and durable for Parkour is a challenge faced by many sports manufacturers. Keeping in trend with the fast pace of the sport and the difficult terrains needed to master, Puma has certainly developed one of the best and cheap Parkour shoes in the market. They have left no stone unturned in ensuring that the athlete’s comfort is not compromised. Keeping all these factors in mind, Puma certainly has an edge over the other brands in the market. Moreover, to suite your style, you can choose among 3 different colours. You can also checkout other Puma shoes for Parkour. The Shoe Sole: First, the sole of the shoe must be thin as It is a must for balancing and rail techniques. Besides, it also provides greater sensitivity that is a must for a Parkour runner as he has to feel the landing. Secondly, the sole must be single-piece with thin cushioning as they are more durable than multi-layered soles. Not only the latter are less durable but also gets ripped off quickly. Besides the rubber sole must not be too hard as it will reduce the traction that is risky for a traceur. It must be made of soft compounds as they provide greater grip holdings. Arches Must Lean You Forward: As parkour aims at reaching a certain destination within the shortest possible time, runners put their weight in the forward direction to move fast while running and jumping. They have to make the quick landings as soon as they can. Such involvement requires arches in the shoe that help them to move quick when they lean their weight forward. So, when you choose to buy a thick sole shoe pair, must check the arch. In a thin shoe pair, no need to check this feature. Also, see whether there is any plastic arch in the shoe. If yes, put the pair aside as they are very slippery, and runner may get injured heavily during bad landings. Shoe Weight: In Parkour, the person requires a lot of endurance to jump, roll, vault, climb etc. So, its must that he should wear the shoes which are light at their most because light-weighted shoes are more shock absorptive and also enables the runner to gain more heights while jumping. As a runner has to handle his body weight, thus, wearing heavy shoes only reduces his efficiency to perform and makes him tired soon. So, one should buy light-weighted shoes to achieve speedy performances. Shoe Fitting: Obviously, it is a must that the shoe you purchase fit your feet snugly otherwise the pair you bought is useless. If the shoe size is larger, the foot can meet with injuries while having the impact with obstacles. If the shoe size is significant than required, the foot may slip or twist while running or jumping. Similarly, if the shoe size is too tight, it may pinch your foot because foot spread outs when lands on something. So, it requires a little room to adjust itself. There should be a breathable space in the shoe, especially, at the toe area and heel portion to eliminate the chances of getting slipped or injured. The finest shoe made with a great combination of leather, synthetic, and textile. The shoe is available in a variety of colors which gives it a unique and dashing look. One can choose any color as per his/her choice. Besides, the sole of this shoe is made of rubber and has an EVA midsole offering excellent shock absorption and TPU heel clip for added comfort. Also, the design is made in such a manner that it fit perfectly providing the foot a great support and breathable room. The shoe is sturdy enough to last long and is affordable. Overall I think this a great shoe for your child that will not only be extremely durable and last a while, but it will also give them enough support and comfort to keep them safe! Along with this, I have written an extremely indepth guide on the New Balance KL574’s. In this guide I go into what I absolutely love about these shoes, and also some points that hopefully will be improved upon with their next shoe. You can view the complete guide here! The shoe has a durable flat mesh lining that provides proper ventilation inside the shoe. The shoe comes up with perfect lace-up closure to ensure a snug fit. Its breathable lining and padded collar provide extra comfort to the foot. Its flex grooves allow better striding, and the non-marking rubber outsole has the shock absorption capacity. The soles are antimicrobial treated, thus, are odor and infection-resistant. Besides, its Dual layer Micro G-foam provides extra comfort while landing on the surfaces. Durability, lightweight and less bulky are some of its principal features. The shoe is available in a variety of elegant colors. Overall I think these are pretty great shoes for your child. Under Armor has always stood behind their products, and promoted safe and comfort use. 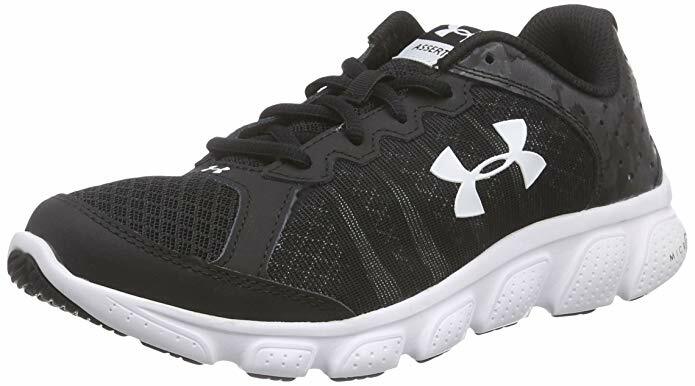 My child and my nephew both have tried these UA shoes, and they really enjoyed them! Along with this, we have made a more in-depth review of these shoes where we really cover the nitty gritty. I definitely suggest you take a peak at it. You can Read The Complete Review! Feiyue is the china’s most popular martial art shoes which offer great comfort and ankle support to the foot. It has a sleek and straightforward design. It has a white canvas upper along with lace-up top with light, minimal padding. The shoe is constructed to provide extreme durability, stability, flexibility and secure fitting. It has tan rubber with deep grooves to provide incredible grip like claws. The shoe works great on painted surfaces, bricks, woods, asphalts. Besides, the shoe is very light-weighted and are great for precisions. The shoe is best for the people with a wide foot. Overall these are pretty great shoes, they’re stylish, feel good, and provide good grip. The only downside with these shoes for children is that they only offer select sizes. So if your child is wearing up to size 4, then they should have their size available, but if they aren’t quite at that size then I would recommend one of the other choices! Along with this, we have written a very detailed review on these Feiyue high top shoes where we have gone a little more in depth. If you are interested I definitely suggest you take a look. You can read the complete review here! A classic sneaker with durable canvas and suede upper. The shoe has a lace-less construction with metallic eyelets on the vamp. It comes with a synthetic sole and cushioned footbed to provide all-day comfort to the foot. Its flip top heel gives it an elegant look. It has two-toned EVA midsole and canvas cushion lining for additional support. It features suede T-toe overlay and rubber toe bumper for extra protection. Its has signature stripping covers on the sides and has great grip holding. Besides, the shoe is light-weight and comes with extra durability. This Onitsuka is one of my favorite shoes for both adults and children. It really is extremely comfortable and durable, and I currently wear these when I train. I definitely suggest this for your child as they train, and for yourself as well! Sole of the Shoe: The sole is the base of the shoe and must be given utmost attention for choosing the right shoe for Parkour. Rubbered soles are preferable and any plastic part in the sole must be avoided as the plastic parts are slippery and may lead to injuries while landing. Moreover the sole must be thin enough so that the traceur has enough feel for what they are doing . Moreover, thin soles provide little shock absorption which is good as the traceur would feel the surface better. Weight of Shoe: Usually lightweight shoes are preferred for Parkour as added weight will decrease agility and jumping ability and greatly decrease the speed of the traceurs. More weight also makes the traceurs tired faster and thus must be avoided. Along with this lightweight shoes also make the traceur feel the surface more as the shock absorbing capacity of the lightweight shoes is less. Fit of Shoe: The fit of the shoe is one of the most important things in any sport footwear. As bad fit could lead to injuries in all sports, but in Parkour this becomes more crucial as the injuries could be fatal due to ill-fitting shoes. Shape and size both can be improved depending on the foot of an individual. One must opt for wide fit shoes for wide feet and regular shoes for regular feet. A little fit however can be improved by changing the type of socks but the priority must always be having good fit shoes. Sport accessories help solve a lot of physical problems athletes face these days. A lot of scientific research goes into every product that is designed and manufactured. Parkour is no different. Many big companies have realized how tough this discipline is and have tried to create the most comfortable and efficient shoes for Parkour. Most of these shoes are technologically advanced and stylish as well. These Parkour shoes think about the feet from all angles. Breathing of the feet is the most important part in any running sport. If shoes start sweating, the comfort level drops and feet start to get heavy and painful. Parkour shoes made by top companies take care of all these aspects. They make Parkour a walk in the park, literally. And moreover, you don’t have to check the overwhelming variety available in the market. You might end up with making a bad decision. I have already given you the top rated brands and their top rated products to choose from. The aim is to end your searches for the best parkour shoes. Hope that helped.